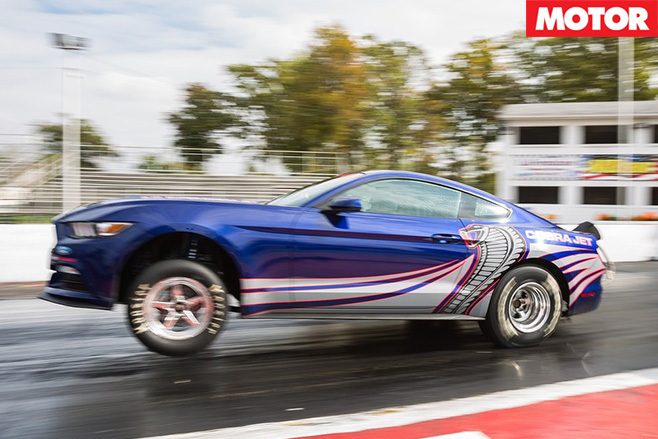 Wanna boost your Ford Mustang’s power? Well, Australian tuner Herrod Motorsport’s packing something that’ll more than double a V8 GT’s outputs. 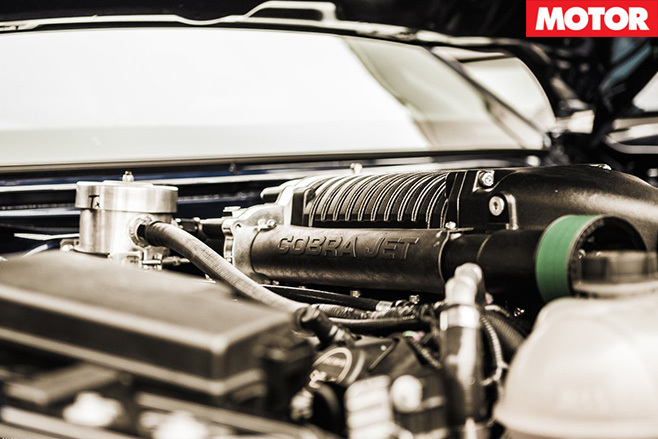 Lurking on its shelves is a supercharged 5.0-litre V8 from Ford Performance that’s quite special. 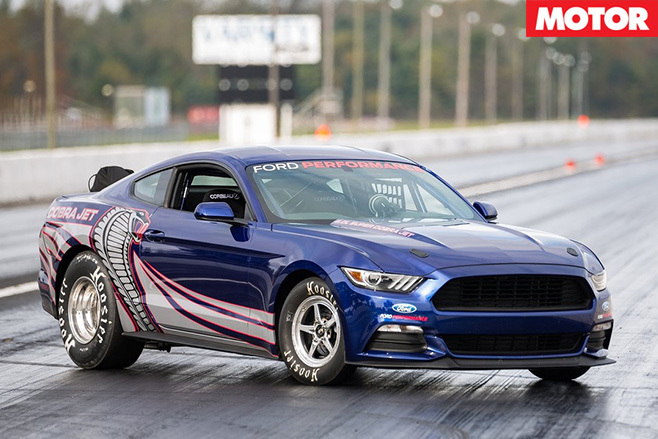 The crate motor’s been pinched before reaching a Mustang Cobra Jet – a factory-built drag car that’ll cut 8.5sec quarters all day. Ford doesn’t quote official figures for the engine, but Rob Herrod, Herrod Motorsport’s boss, has it from Ford Performance the engine will cheerily make “around” 675kW on VP C16 fuel. But it’s drag racing, not water, that’s defined the Cobra Jet legend. Ford’s need to level competition in the National Hot Rod Association’s Super Stock class back in the 60s birthed the original 1968 Mustang 428 Cobra Jet. Its legend lives on today with the 2016 model, complete with wheelie-bar, roll cage, and three-speed auto. While you can’t buy a complete Mustang Cobra Jet here, all 50 have probably been sold, the engine’s the next best thing. Ford says it’s ‘75 per cent production parts’, but you can’t just build one yourself. A 2.9-litre Whipple blower nestles between its hand-built cylinder heads, while special components allow it to spin all the way to 8000rpm. Because of its prodigious stonk, the Cobra Jet engine isn’t cheap. “The one I have left would cost around $45,000, but the retail is over US$32,000 – if you could find one,” warns Rob, who adds while they’re very rare he could source another. It might seem like a hit on price to source one through Herrod, but factor in conversion rates and GST, and you’re looking at close to $47K before shipping to grab one from The States. For a S550 Mustang, there are also the issues with engine fitment and management that’ll bob-up. But then again 735kW doesn’t scream ‘street use’. 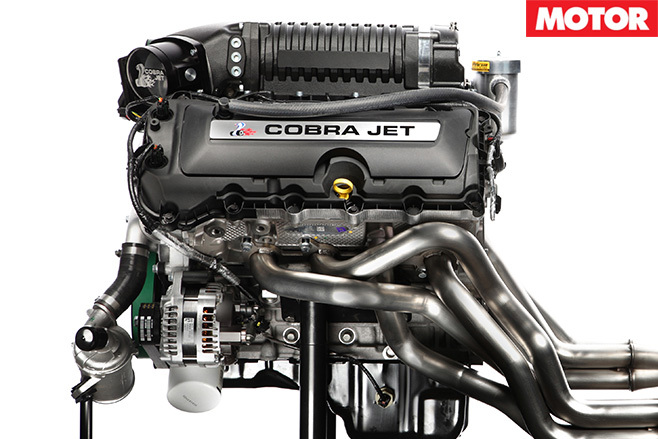 So keeping that in mind, the Cobra Jet engine just may be the wild you’re looking for.